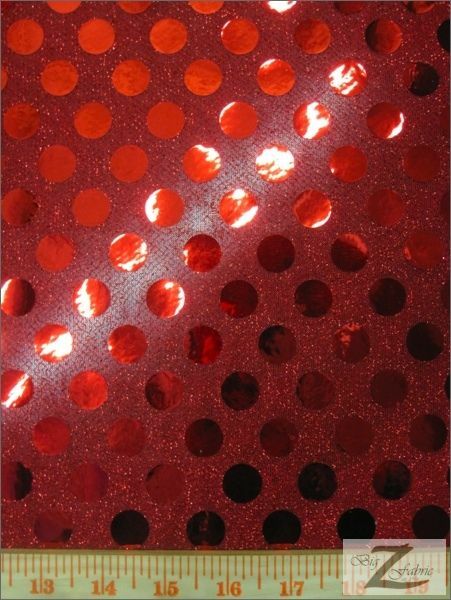 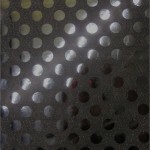 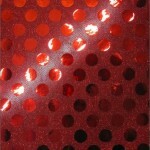 Big Polka Dot Sequin Fabric is a flashy and inexpensive fabric that is multipurpose. 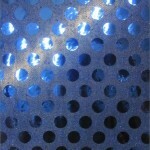 The Dots have a great shine and are 1/2″ (inch) in thickness. 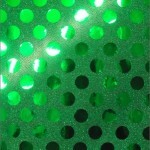 The backing is made from a net polyester sheer fabric and is translucent. 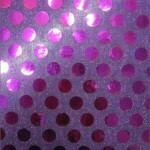 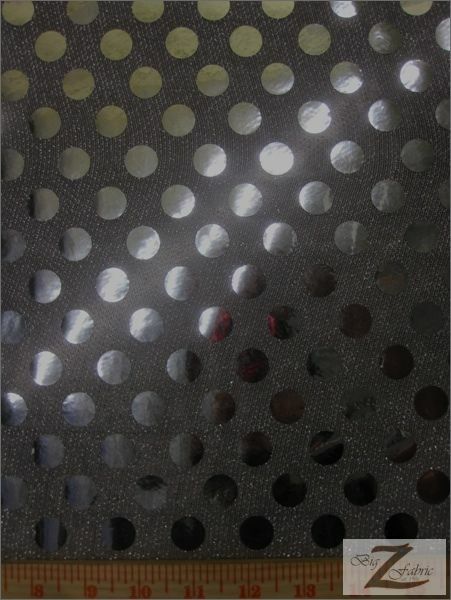 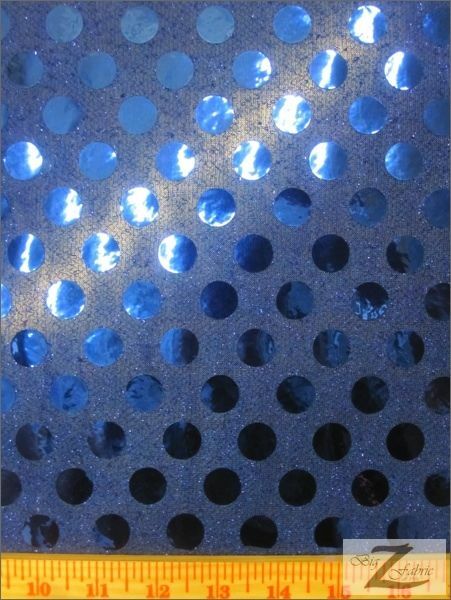 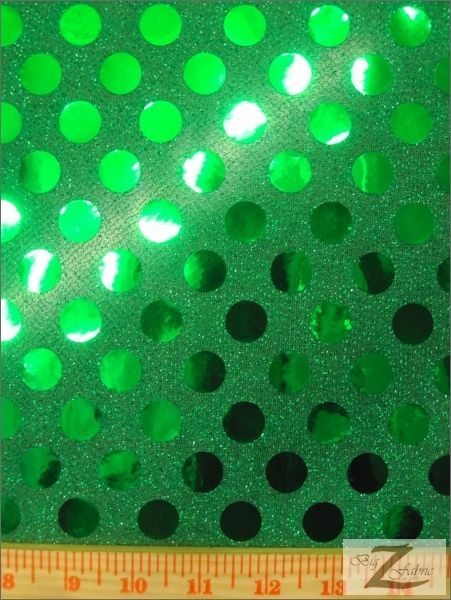 The sequins fabric is sold in continuous yards and has a width of 44″/45″ (inches). 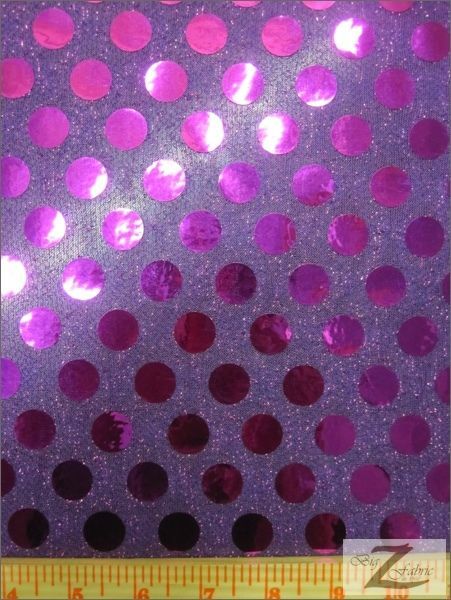 Using this fabric for any project demands attention.